As renewable energy installations become more inexpensive, we have to find ways to get the most out of these opportunities. Here we focus on solar power. Solar power is on the rise as installation costs begin to fall on the commercial and residential scale. Yet still, renewable energies only make up a fraction of total energy consumption in high-powered countries like the U.S. How do we make this clean energy source more efficient? In 2015, 10% of U.S. energy consumption was provided by renewable energy sources. Compare this to 23% in China and 12.4% in Germany. A fraction of these numbers come from solar power sources. As the world endeavors to move about from carbon-emitting power sources, solar is an important cog that must be made more efficient. In 2016, houses with solar installations grew to more than 1 million in the U.S. A common thought was that storing solar energy for use in the evening would reduce the draw from the energy grid and further improve clean energy efficiency. Turns out that isn’t the case. According to a study at the University of Texas, detailed here, adding solar power storage to a household actually increases annual energy consumption by 324-591 kW-hrs. Currently, to store solar energy you can use a battery bank or a Grid Inter-tie. As we mentioned, using a battery actually increases your energy consumption. A Grid Inter-tie, where excess energy is sent to a larger power grid, is also known as net metering and is currently the most efficient way to “store” solar energy. For now, you should send your excess solar energy to the grid. However, supercapacitors may soon enable energy storage with fewer limitations than any current battery. A Stanford-led research team published a new mathematical model for electricity storage materials in the journal Applied Physics Letters. The hope is that this new research enables batteries without the energy “bottleneck” created by most conventional designs. 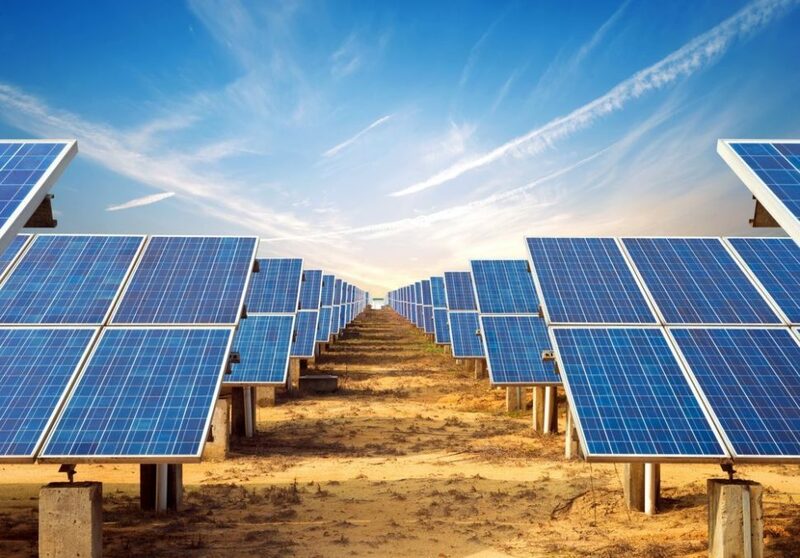 Researchers at Purdue University and the National Renewable Energy Laboratory developed a new crystalline structure of iodine/lead and methyl-ammonium that could double the efficiency of silicon-based solar cells. The Shockley-Queisser Limit, which signifies the one-third max efficiency of silicon solar cells to harvest energy from light, represents a gross inefficiency given that the sun’s light brings enough energy to power every system on the planet. The new material, referred to as a hybrid perovskites, is cheaper, thinner, more flexible, and easier to make than silicon-based solar cells. This seems like an easy step. In order for more people to take the promise of clean energy seriously, practical infrastructures will have to be put in place. The more clean energy is available the more it will be appreciated. The City of Boston and the surrounding Boston Metropolitan Area have already invested in solar powered charging stations scattered strategically throughout the city (often through private donation). This initiative doesn’t just encourage citizen investment in their city’s infrastructure; in a city known for housing hundreds of universities and startups, keeping laptops, phones and other work-related devices charged up is directly related to the city’s productivity. Example locations include the charging station at Lynch Family Skate Park near Paul Revere Park. These installations provide direct access to free energy to the children and adults that frequent the area, and also encourages social sharing and engagement that only positively promote the city. Other Massachusetts installations are listed here. What else could be done to improve solar energy?